Thomas Dähnhardt is Assistant Professor in Hindi and Urdu Languages and Literatures in the Department of Asian and Mediterranean African Studies at the Ca’ Foscari University of Venice. Soulless Matter, Seats of Energy: Metals, Gems and Minerals in South Asian Traditions investigates the way in which Indian culture has represented inorganic matter and geological formations such as mountains and the earth itself. The volume is divided into four sections, each discussing from different angles the manifold dimensions occupied by minerals, gems and metals in traditions such as Hinduism, Jainism, Buddhism and Sikhism. 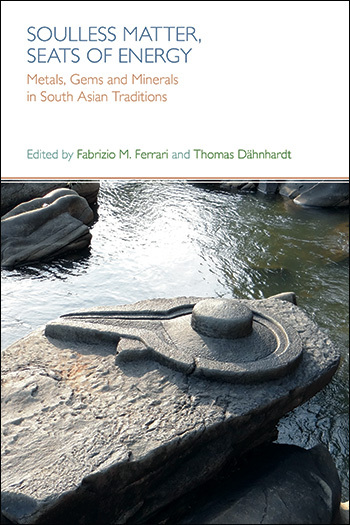 The various chapters offer a rigorous analysis of a variety of texts from different South Asian regions from a range of perspectives such as history, philology, philosophy, hermeneutics and ethnography. The themes discussed include literature (myth and epics), ritual, ethics, folklore, and sciences such as astrology, medicine, alchemy and cosmetics. The volume critically reflects on the concept of “inanimate world” and shows how Indian traditions have variously interpreted the concept of embodied life and lifelessness. Ranging from worldviews and disciplines which regard metals, minerals, gems as alive, sentient or inhabited by divine presences and powers to ideas which deny matter possesses life and sentience, the Indian Subcontinent proves to be a challenge for taxonomic investigations but at the same time provides historians of religions and philosophers with stimulating material. Soulless Matter, Seats of Energy is the natural continuation of the two previous edited collections on animals and plants in South Asian religions. Volume 3 reflects on the mineral world in South Asian traditions. It explores the way in which various religious traditions, including Hinduism, Jainism and Buddhism, have represented and reflected upon the environment – in this case: minerals, gems, metals but also geological formations such as mountains and the earth itself. 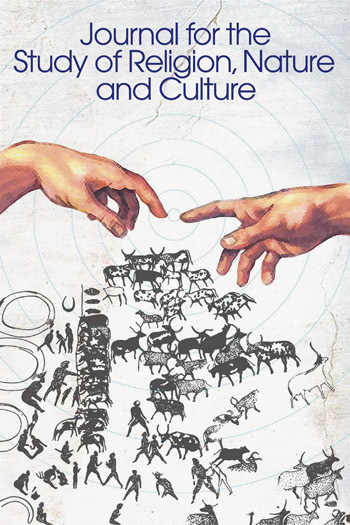 The volume is multidisciplinary in its approach and includes studies ranging from anthropology, history, religious studies, medicine and medical humanities to folklore, literature, hermeneutics and philosophy. Mikael Aktor is Associate Professor in the Department of History at the University of Southern Denmark. The pañcāyatanapūjā is a worship of five deities, Devī, Sūrya, Gaṇeśa, Viṣṇu and Śiva, in a manner in which the affiliation of the worshipper, e.g. as Vaiṣṇava, Śaiva, Śākta etc., determines which of the five will be placed at the centre of the tray on which the deities are placed. But in addition, the deities are worshipped here not in their anthropomorphic forms but in their aniconic forms as five stones. Each of the stones originates from a particular location, four of them in a river, one near a town. Like the great pan-Indian pilgrimage circuits the geographical extent of these locations covers the whole of South Asia from the Gandaki River in northern Nepal to Vallam Town in Tamil Nadu. The chapter examines each of these stones – their visual qualities and their mythological and iconographical associations with their respective deities, the collection, manufacturing and marketing, as well as their present ritual use. It will bring to light the significance of this inclusive ritual in the historical context of sectarian conflicts, and it will include an analysis based on a discussion of petromorphic aniconicity in the theoretical context of human cognition of the natural world. 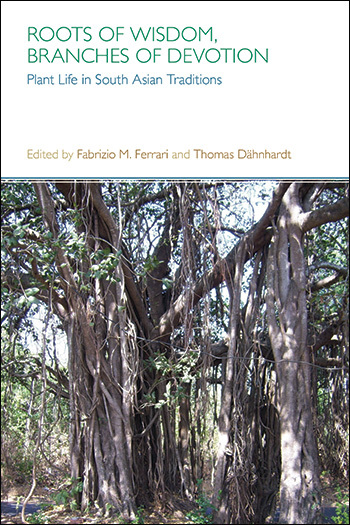 Francesco Brighenti is an independent scholar based in Venice and a Research Associate of the University of Hyderabad, India. Hiṅgulā is a Śākta goddess associated with underground fire, volcanic activity, and jets of flammable gas on the Makran coast of Pakistan and in Orissa. Her shrine in Makran is the westernmost among the Śākta-pīṭhas. Known to her Muslim devotees as Bībī Nānī, Hiṅglāja (Hiṅgulā) of Makran is connected by some scholars with the Iranian goddess Anāhitā worshipped by the Śakas and Kuṣāṇas and, through the latter, with the Mesopotamian/Elamite/Bactrian goddess Nanā. Hiṅgulā’s Sanskrit name means ‘she of cinnabar’. Cinnabar, hiṅgula, is a reddish ore consisting mainly of red sulphide of mercury (HgS) deposited in rocks from volcanic activity. As a pigment, cinnabar has been used in South Asia from very early times to besmear the cult icons of Hindu divinities. According to the principles of Tantric alchemy, sulphur symbolizes Śakti and menstrual blood, while mercury symbolizes Śiva and male seed. The alchemical union of sulphur with mercury, resulting into cinnabar, is regarded as the most powerful panacea by the Tantric tradition. Likewise, in Indian medicine cinnabar is attributed aphrodisiac properties. The “sulphurous” qualities of hiṅgula or cinnabar are easily associated with volcanic and gas-jet phenomena in mythological thought. In Makran, believed to be the place of origin of this Śākta cult, the shrine of Hiṅglāja is located in an area rich in mud volcanoes at times erupting with flaming gas. Some other Śākta goddesses in N.W. South Asia — e.g., Jvālāmukhī in Himachal Pradesh — are represented by ignited jets of natural gas issuing from the ground or from rocks. The worship of Hiṅgulā has, in course of time, migrated from Makran/Sind to Gujarat and Maharashtra, perhaps following the migrations of Hindu nomadic castes of north-western origin. In eastern Maharashtra and Bastar, Hiṅgulā may have been a family deity of the Nala dynasty in the post-Gupta period. In a later epoch she began to act as the family deity of the rājās of Talcher in central Orissa. Here Hiṅgulā is believed to appear a few days before her annual festival in the dream of her temple priest and to indicate to him the exact spot of her manifestation as a jet of gas issuing from the local coal fields. The priest then proceeds to the spot and finding the natural fire, keeps the flame burning by adding coal till the appointed hour of worship arrives. The present paper is a first attempt at discussing the polarity of sulphur vs. mercury, the symbolism of cinnabar, and the worship of volcanic and gas-jet phenomena against the background of the cult of Hiṅgulā. Monia Marchetto is Visiting Lecturer of Hindi Language and Literature at Ca’ Foscari University of Venice and Scientific Coordinator and Research Fellow at the Venetian Academy of Indian Studies. Manuel Martin Hoefer is Research Fellow at the Venetian Academy of Indian Studies. According to the culture of the Indian Subcontinent, everything shining above (in the sky) throws its reflection below (upon the earth). The present study will deal with the frightful Saturn, the planet (graha) which is the embodiment of time (kāla). As stated by classic astronomy and astrology (jyotiṣa), its orbit is the most external; this makes it the slowest among the planets and thus the archetype of time, passing inexorably. Astronomical and mythological aspects of this figure will be outlined through exegeses of the main textual sources and analyses of oral popular beliefs. The paper will investigate its special relation with a particular mineral, the iron and a precious stone, the blue sapphire; both elements are very relevant in different functions of Saturn. From the religious prospective, this planet is a powerful deity related to many aspects of Indian life. Saturn is feared and worshiped at the same time. Different places of the sacred geography of India are devoted to rituals whose final aim is to pacify this deity, to cast away his implacable glance and to ensure his benevolence upon many kinds of sentient beings. Specific texts (śāstra, saṃhitā, paddhati) describe the elements constituting the paraphernalia and settle the rules and timing of the rituals. Some aspects of this same figure in countries connected to Indian traditions will be mentioned at the end of the present paper. Anthony Cerulli is Assistant Professor of Asian Studies and Religious Studies at Hobart & William Smith Colleges, USA. Caterina Guenzi is Associate Professor at the École des Hautes Études en Sciences Socialesand a member of the Centre for South Asian Studies, Paris. In this chapter we explore the science of “external” remedies in India. What are some of the ways that people in India treat the body and mind and seek overall wellbeing through ornamentation and surface application of gemstones (maṇi) and amulets (bhadrikā and rakṣikā) (vis-à-vis, for example, “internal” treatments involving botanical decoctions, oils and powders that are assimilated by the body)? Drawing on textual references and ethnographic examples, we discuss how gemstones (e.g., rubies, pearls and sapphires) and amulets (constructed from such things as devil tree, wild asparagus, seashells, and other substances) have been used in India as preventative therapies in a person’s daily regimen and as specific remedies for disorders during pregnancy, planetary-based afflictions, and madness, among other things. The preparations, testing, and practices of minerals and amulets that are used to treat the body and mind reveal a worldview in which the human person is entwined within multiple and intersecting ecosystems. It is a worldview, furthermore, in which notions of bodily externality and internality are blurred. A distinctive and wide-ranging notion of wellbeing emerges, we suggest, that connects the mineral, botanical, and astral domains with the human body’s functioning and a person’s course of life. Dagmar Wujastyk is Postdoctoral Research Fellow at the University Research Priority Program Asia and Europe at the University of Zurich, Switzerland. The use of mercury has a long history in Indian medicine with clear evidence of mercurial treatments found in Sanskrit medical treatises from about the seventh century. Mercury medicines were understood to be particularly potent remedies and as such were often used in the treatment of serious diseases that were difficult to treat. Mercury preparations were also widely used in rejuvenation therapy (rasāyana) – one of the eight classical areas of Indian medicine. Rasāyana sections in Sanskrit medical works describe the preparation and application of tonics for restoring health, stopping and even reversing the aging process, generally improving physical appearance and significantly increasing lifespan. Chapter 5 is freely available under Creative Commons License BY-NC-ND 3.0 here While rejuvenation therapies are already described in the oldest Sanskrit medical works known to us, the first recipe containing mercury occurs in a seventh-century treatise called the Aṣṭāṅgahṛdayasaṃhitā (“Heart of medicine”). From about the eleventh century, mercury became a significant ingredient in rasāyana therapy with works such as Cakrapāṇidatta’s Cakradatta (eleventh century) and Vaṅgasena’s Cikitsāsārasaṃgraha (eleventh/twelfth century) recording multiple recipes for mercurial tonics. The use of mercury in rasāyana recipes reflects a profound change in Indian medicine in this period, namely the increasing importance of iatrochemistry. Older medical works already contained recipes for metallic and mineral medicines, but now metallurgical procedures aimed at making metals and minerals fit for medical application (and human consumption) were described in detail and the number of metallic and mineral medicines, including mercury preparations, increased substantially. Both procedures and recipes for metallic and mineral medicines seem to have been adopted from alchemical sources – we often find reference to alchemical works or authors in recipes for mercurial or other metal or mineral medicines in the medical treatises. This essay will provide an overview of the uses of mercury preparations in rasāyana therapy, discussing their position within rejuvenation therapy in regard to other rasāyana formulations and exploring their link with Indian alchemical traditions. Barbara Gerke is Principal Investigator in the Institut für Asien und Afrikawissenschaften at Humboldt University of Berlin. This article analyses Tibetan ideas of ngülchu (dngul chu), the ‘silver-water,’ which is considered the ‘king among the elixirs.’ Tibetan medical texts have mentioned its processing techniques for medicinal use since at least the twelfth century AD. How did Tibetan physicians classify metals in their key materia medica texts considering textual descriptions that ngülchu could be sourced from water, rocks, plants, and animals? Is it a metal, a precious substance, or something else? Some materia medica classify non-processed metallic mercury as an ‘inanimate cold poison,’ as a ‘precious’ and also ‘non-meltable’ substance. What do these classifications tell us about the nature of ngülchu, its poisonousness, and medicinal properties? Based on textual analysis and ethnographic fieldwork with contemporary Tibetan pharmacologists in India and Nepal, I argue that due to the varied sourcing, ngülchu is not necessarily metallic mercury, but that certain shiny-silvery substances found on herbs and inside animals are labelled ngülchu, share similar characteristics, and go beyond what we would classify as a ‘metal.’ Nevertheless, today’s pharmaceutical manufacturing of Tibetan mercurial medicines rely on processed mercury-sulfide compounds based on metallic mercury, although the plant source of ngülchu is considered a valid substitute (tshab) by some pharmacologists. This paper also analyses the popular mercury-sulfide ash tsothal (btso thal), which contains eight metals, in the context of its origin myth where the eight metals are eight sages. I then show parallels of this myth in the tsothal processing method, where the eight metals are burnt to ash and transformed into an elixir. Antoinette DeNapoli is Assistant Professor in the Department of Religious Studies at the University of Wyoming. “In the middle of these mountains is our immortality,” said Shabari Bai, a female Hindu renouncer (sadhu) from a Bhil (tribal) community in North India. Located in Chirva village (Udaipur district), Rajasthan, Shabari Bai’s ashram is nestled in the Aravalli Mountains, one of the oldest mountain chains in South Asia. She continued, “The earth [bhumi] is the most precious life [jiv] on the planet. She is alive just as we are alive. She bears the pain of the world and has all the knowledge [jnan] that will heal our suffering and keep us from destroying ourselves.” Shabari Bai’s incisive statement calls attention to the earth and, more specifically, to landforms such as mountains, as the seat of energy, power, and salvific knowledge. More significantly, Shabari Bai suggests that mountains possess a form of consciousness (jiv) and, thus, represent a “precious” natural resource—or life—precisely because they contain invaluable substances such as metals, minerals, and gems that promote the health and healing of all life on the planet, including the planet itself. Like Shabari Bai, sadhus in the North Indian state of Rajasthan, in which I conducted extensive field research with Hindu sadhus from the Shaiva (Dashanami and Nath) and Vaishnava (Ramananda/Tyagi) renouncer traditions, associate naturally occurring substances like metals, minerals, and gems with power and immortality and use them in their everyday ritual/healing practices. In my experience, preferring naturopathic—or, in Indian terms, Ayurvedic—methods over allopathic methods, sadhus, men and women, commonly wear stones, gems, and metals on their bodies as an efficacious means to heal, cure, and prevent ailments from poor digestion to anaemia. To take an example, according to many of the sadhus I knew, wearing copper on the big toe aids digestion. In another context, following an almost fatal dog attack and only after allopathic methods failed, Kailash Das, a Ramanandi (Tyagi) sadhu, started to wear thick silver rings on each of her toes. “It keeps the veins open and causes the blood to move in my feet. Since I’ve been wearing these [rings], I suffer no pain in my feet at all.” Based on over a decade of ethnographic fieldwork in Rajasthan, this essay describes and analyzes sadhus’ knowledge and use of metals, minerals, and gems in order to shed light on a level of vernacular practice and experience that has been underrepresented in the scholarship on sannyas in South Asia. Special attention is paid to the sadhus’ gendered representations of metals, minerals, and gems and the ways that their practices shape and reconfigure the more standard definitional parameters for what sannyas is all about in contemporary India. The essay is divided into two parts. Part 1 analyzes what I have characterized as the sadhus’ “rhetoric of renunciation,” the stories (kahani) and songs (bhajan) that they perform about the earth, its properties, and humans’ responsibility to the planet. In addition, this section explores sadhus’ ideas about ecological sustainability in a consumer-based economy through means of their performances. Part 2 examines the sadhus’ use and classification of metals, minerals, and gems, the deities associated with these substances, the problems they are thought to cure and/or prevent, and the sadhus’ personal experiences of illness that catalyzed their knowledge and use of metals, minerals, and gems. In sum, this essay contributes new research to academic studies of sannyas in South Asia and shows that sadhus draw on indigenous knowledge about minerals, metals, and gems in their practices both to address and redress the deleterious effects that Rajasthan’s mining industry is wreaking on the earth in a rapidly changing, postindustrial India. Eleanor Nesbitt is Professor Emerita at the Centre for Educational Studies, University of Warwick. Today’s Khalsa (nucleus of Sikhs committed to a shared discipline) is a complex of several strands of tradition, each represented vigorously among globally connected Sikh youth. Iron holds a central place in two of these – the Akhand Kirtani Jatha and the Nihangs. Thus, the Akhand Kirtani Jatha’s code of discipline requires the maintenance of sarab loh (literally ‘all iron’), in other words the practice of only using utensils that are made of iron and of only eating from an iron thali (tray, platter). In the case of the Nihangs, their distinctiveness involves a prominent respect for weaponry: the perpetuation of shastar vidya (‘knowledge of weapons’, martial art) and the incorporation of iron or steel martial insignia in their dumala (towering turban) and elsewhere on their person. Moreover, along with the Adi Granth and the Dasam Granth, Nihangs honour as scripture a work entitled Sarabloh Granth (‘all-iron volume’). In the case of a third Khalsa group, the Damdami Taksal, the word taksal (mint in the sense of a coin factory, though translated ‘educational institution’) is in its very title. As with other aspects of resurgent Sikh groupings and observance, the emphasis on metals, and iron in particular, is continuous with much earlier Sikh tradition. So, two of Sikhs’ ten human Gurus, Guru Hargobind and Guru Gobind Singh, were known for their military prowess and leadership. The initiation of Sikhs into the Khalsa involves being ‘baptised’ with sweetened water, stirred in an iron vessel (bata) with a khanda (two-edged sword) and they are required thenceforth to have five distinguishing externals (the ‘five Ks’) of which the kirpan (sword) and kara (bangle-like ring around the right wrist) are made of steel or iron. These are emotive symbols for the many more individuals who identify as Sikh without becoming Khalsa Sikhs. Indeed, along with the ik oankar emblem (combination of numeral and character signifying oneness of God/ reality), Sikhs often display a composite symbol consisting of a khanda, encircled by a kara or quoit and cupped by two kirpans. This chapter will outline varieties of metal-related Khalsa tradition, as well as examining the evolution of the five Ks, and of the nishan sahib. (This is the flagpole and pennant, bearing the khanda emblem, that indicate that a building is a gurdwara, a public place of worship). Sikhs’ emphasis on iron will be contextualised in the light of Guru Gobind Singh’s epithets for ‘akal’ (the timeless one, God) as ‘sarab loh’ and Sikh interpretation of the invocation of Bhagauti in the congregational prayer, Ardas, as an invocation of the sword (rather than of Bhagavati/ the Indic mother goddess). Sikh coins too will be discussed with particular reference to the collection in the British Museum. The imagery of the Adi Granth (Guru Granth Sahib, Sikh scripture) includes many references to metals, minting and money – as well as to gemstones – and these will all be explored as expressions of the Gurus’ teaching that provides the ultimate religious authority for Sikhs. The Guru/divine teacher is declared to be the paras (philosopher’s stone) ‘by whose touch iron is transformed to gold’ (AG 1113) and this trope will be considered further. Deeksha Sivakumar is a PhD candidate in Religion from Emory University. Her dissertation uses a combination of ethnography and historical textual studies to analyze a South Indian festival of displaying dolls in homes and public spaces. Her broader interests include research methodologies, healing practices, women and religion, caste, and rituals concerning material mediation. Often times the word cosmetic connotes a superficial beautification of appearance. Once applied, mineral makeup can mask imperfections and make you more attractive. My analysis of two conversations that occur in Valmiki’s Rāmāyaṇa and the Mahābhārata, will contend that cosmetics in the Hindu textual world appear hardly cosmetic, going skin-deep. Makeup techniques and the appropriate unguents and minerals are usually guarded and shared in confidence. In the Mahābhārata’s Virāṭaparvan, Satyabhama, competing for Krishna’s attention with his many lovers, approaches Draupadi for advice on these womanly matters. In a confidential exchange Draupadi tells Satyabhama that the key to managing the attention of all five Pānḍava brothers is to “worship your husband wearing your costly flowers and jewels and makeup and scents.” The potential of learning a good makeup trick or two is a real asset for a woman, helping her acquire and keep her partner, or as Draupadi suggested, ensuring your husband’s affection and obedience. A youthful complexion is also cultivated by employing age-defying creams. In Valmiki’s Rāmāyaṇa, an older wife Anasuya gives the new bride Sita a special ointment to preserve eternal beauty, initiating her to cosmetics and their application. In my interpretation minerals are pivotal to arranging and maintaining personal and social relationships between a man and his wife. The sensorial experiences of mineral makeup — through implication — render Rama and the five Pānḍavas as connoisseurs aroused by well adorned women, and attractable through makeup. Mineral cosmetics and adorning one’s self with makeup is hardly manipulative, but rather positively transforms marital relationships. Mattia Salvini is Director of the International PhD Programme in Buddhist Studies, Faculty of Humanities and Social Sciences, Mahidol University, Thailand. Buddhist literature and culture is permeated with gems, jewels, and precious metals; they function as figure of speech, offering, ornament, magical implement, ideal landscape or narrative element. A Buddhist is ‘one who takes refuge in the Three Jewels’. A successful Buddhist practitioner may accumulate merit to reach Indra’s divine realm inlaid with four precious gems; he or she might reach ‘the meditative absorption which is like a diamond’ to become awakened. If on the other hand the one focuses on Amitābha’s name, this will bring about rebirth in a pleasant realm where the landscape is made of four and seven precious substances. Those of greater capacity may attempt Buddhahood in one lifetime, in which case they will have to rely on the swifter ‘Diamond Vehicle’. From the name of textual collections like the ‘Heap of Jewels’ to the contemporary Thai Buddhist practice of covering statues with layers of gold-leaf, hardly any aspect of Buddhist religious life is untouched by imagined or actual gems and precious metals. I shall here discuss some eminent examples of this feature of Buddhism; without any hope of being comprehensive, I intend to show the importance of a certain part of the mineral world for the larger universe of Buddhist religious culture. Ana Bajželj is Postdoctoral Researcher at the Centre for Advanced Studies in Philosophy at the University of Rajasthan, Jaipur, India. The primary objective of this paper is to explore the notion of earth-beings as proposed by the Jain tradition. Akin to divine (deva), hellish (nāraki), human (manuṣya) and animal beings (tiryañc) Jains consider plants (vanaspati), water- (āpo-kāyika), air- (vāyu-kāyika), fire- (tejo-kāyika) and earth-bodied (pṛthivῑ-kāyika) beings to be alive as well, the criterion for life being the possession and application of the attribute of consciousness (caitanya). More precisely, non-material living substances (jῑva), which constitute the essence of every living being, are the ones that are regarded as conscious. As a result of passion-motivated bodily, verbal, and mental activities these living substances are said to attract subtle matter (pudgala), which comes to form different bodies that bind them to the cycle of rebirths, restraining their natural movement upwards. Every embodied being is therefore composed of both living and material substance. Earth-beings represent one kind of possible embodiment, in which living substances are bound by bodies that have the nature of earth. Upon the completion of one particular embodiment in the earth-form, living substances leave the old earth-bodies and proceed to attract new body-forming matter. Apart from earth-matter which functions as a bonding body there is then also earth-matter which is not related to any living substance and is currently not utilized as a body, even though it may have previously been or will potentially become one. However, earth-matter is considered to be non-living (ajῑva) and non-conscious (acetana), no matter what its connection to living substances. The interaction between living substances and earth-matter as well as the distinction between earth utilized as a body and earth without a current embodying function will be carefully studied. The class of earth-beings is a pluralistic category just as the general ontology of life and matter in Jainism is pluralistic. Jainism does not put forward a notion of earth as such but instead refers to a multitude of earth-beings. These include raw soil, particles of dust, sand, raw minerals, pebbles, sand, salt, iron, copper, lead, silver, gold, diamonds, etc. This paper will look at various accounts of these subcategories in Jain literature, namely, basic descriptions of their smallest and biggest possible sizes, their characteristic of immobility, their single sense of touch, their instincts, and their experience of pleasure and pain. Their status within the broader ontological-cosmological doctrine will also be discussed as well as the character of their interactions with other living beings, the karmic contexts within which embodiments in the form of earth-beings are possible, the life-span of these embodiments, and the possible future rebirths following them. Additionally, this paper will point out and critically examine the implications of the described doctrines of earth-beings for the practical life of Jain laity and mendicants. The attitudes towards as well as the actual exploitation of earthly resources with a particular reference to the differences and similarities between Jains in the past and today will be analysed.